Power Loss Relay Control System. 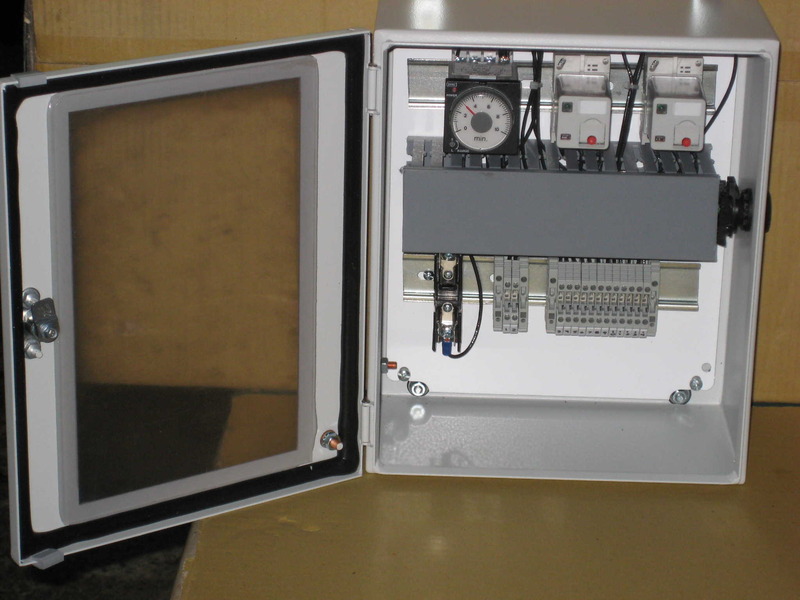 3 Phase power loss monitor relay panel. Custom Power Loss Protection System. Protect motors from power loss. Protect pumps from power loss. Protect VFD from power loss. Power Loss Relay System. Plant power is backed up by a standby, 3 phase diesel engine generator. 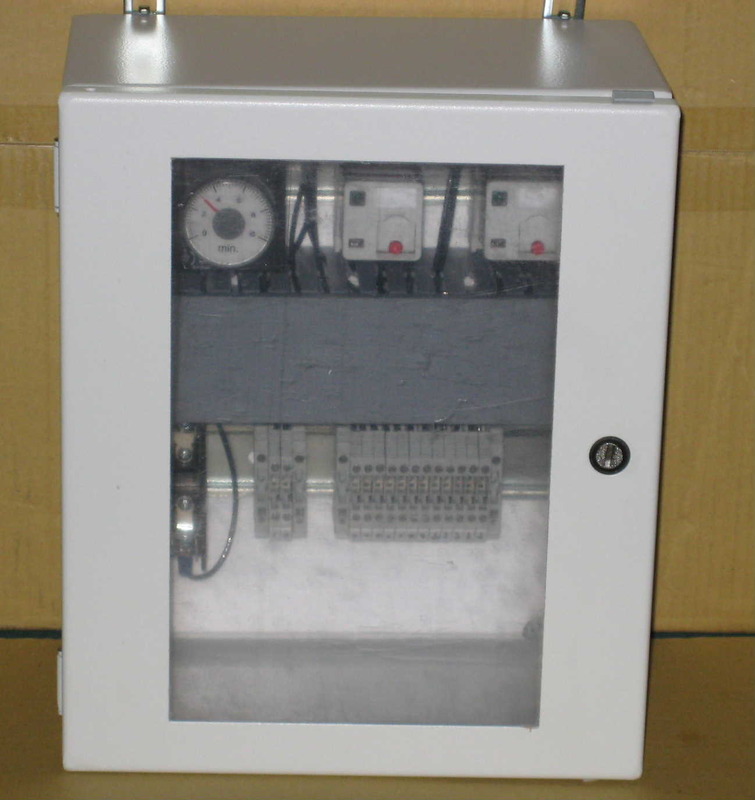 If the power is lost, including generator backup, for longer than a preset time interval, this control will prevent any pump operation in the plant, without a manual reset and system check. When power is restored, the objective is to prevent automatic startup and over-pressurization of piping systems. Operators can easily reset the automatic functions, but can prepare the plant for damaging dynamic hydraulic conditions. Simple dial input for power loss elapsed time setting. All relay status LED's visible through the panel cover. 1 button operation to reset the system. Extra space in lower cabinet for easy electrical connections. Compact, clean and ready for harsh environments. Applications: pumping stations, conveyors, forced draft and induced draft fans, chillers and air conditioners, high inertia loads such as band saws.